League of Women Voters Upper St Croix Valley: U.S. Supreme Court Should End Partisan Gerrymandering (so politicians won’t be able to “choose their voters” by the way they draw the maps). U.S. Supreme Court Should End Partisan Gerrymandering (so politicians won’t be able to “choose their voters” by the way they draw the maps). 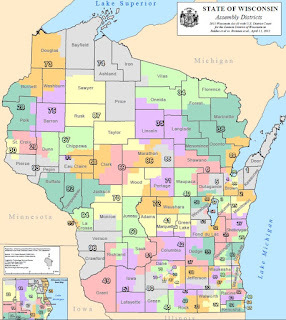 MADISON – As the U.S. Supreme Court takes up the Wisconsin redistricting case, Gill v. Whitford, the League of Women Voters of Wisconsin is urging the justices to affirm the lower court ruling. The district court last year found Wisconsin’s legislative districts to be unconstitutional based on partisan gerrymandering, and it ordered the state legislature to redraw the voting maps in time for the 2018 elections. Since as far back as the 1940s, the League has been active in the courts and legislature to ensure fair voting districts in Wisconsin. That long tradition continued this month as we joined the League of Conservation Voters and others in filing a collaborative brief which demonstrates how Wisconsin’s rushed and secretive 2011 redistricting has led to more extreme legislation than would be expected from a more typical shift in power from one party to another. By creating an unprecedented number of “safe districts,” in which one party is assured victory, the current Wisconsin voting maps have created a serious breakdown in the legislative process. Where the majority party used to have to reach across the aisle to gain bipartisan consensus, now it can introduce and fast-track bills with no support from the minority party and only the bare minimum opportunity for public input. Majority lawmakers, most of whom are insulated in safe districts, can do this without fear of being held accountable by voters in the next election. Examples of the legislative breakdown have included a bill that was tracked to the desires of one multimillionaire political donor who wanted to reduce his child support payments and a case where hundreds of constituent calls and emails calling for a hearing for nonpartisan redistricting legislation were simply ignored by committee chairs in the state Senate and Assembly. The court brief outlines the ill effects of gerrymandering on legislation in three areas on which the League advocates: funding for public education; protection of natural resources; and government accountability. 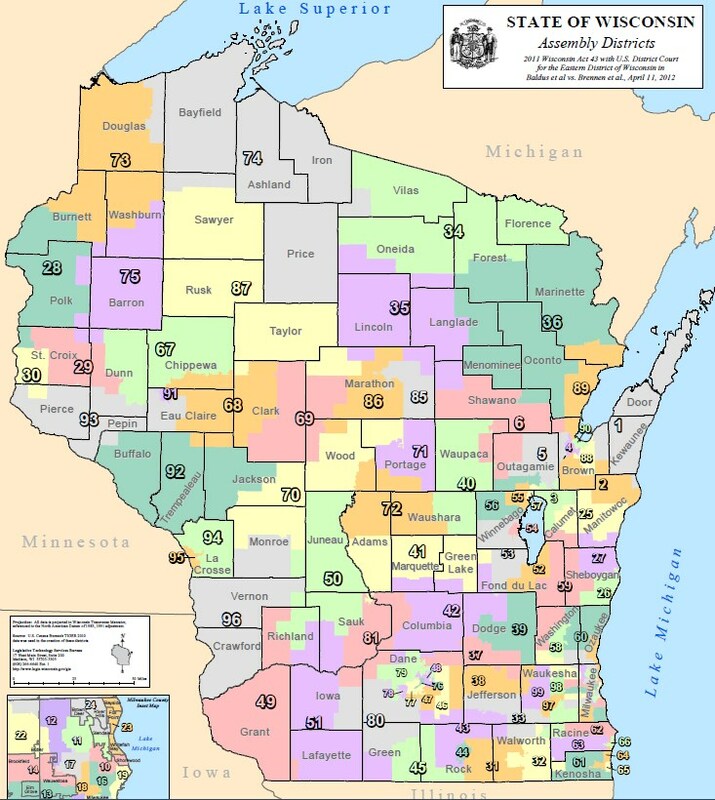 The gerrymandered voting maps have made it much easier for the majority party to push through legislation that has slashed spending for public schools and the UW System, gutted the science division of the Department of Natural Resources and muzzled discussion of climate change, undermined environmental protections, and replaced our model nonpartisan Government Accountability Board with commissions of partisan appointees. The League has held since the 1970s that voting maps should be drawn by a nonpartisan entity rather than by the legislators themselves. In the 1980s the League supported a Republican proposal to achieve nonpartisan redistricting, and now we are supporting legislation introduced by the Democrats for the same purpose. Yet in all this time our position has not changed; all that has shifted is which party is in power in the state legislature. The Supreme Court justices have the power to end partisan gerrymandering with their ruling in Gill v. Whitford. They should do so in order to give every citizen’s vote equal weight. Then politicians won’t be able to “choose their voters” by the way they draw the maps. Instead they will have to win elections by winning over the hearts and minds of the people, as they should. 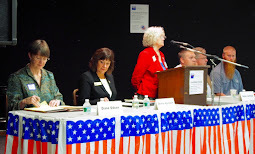 LWV Upper St. Croix Valley note: A ruling is expected in June. Andrea Kaminski is executive director of the League of Women Voters of Wisconsin, a nonpartisan organization that advocates for informed and active participation in government. The League welcomes women and men across the state as members. There are 18 local Leagues in Wisconsin as well as new ones forming in Sheboygan County and Greater Chippewa Valley. Follow @LWV_WI on Twitter.